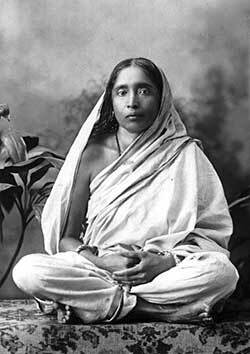 Sarada Devi (December 22, 1853 – July 20, 1920), born Saradamani Mukhopadhyaya, was the wife and spiritual counterpart of Ramakrishna Paramahamsa, the nineteenth century mystic of Bengal. Sarada Devi is also reverentially addressed as the Holy Mother (Sri Maa) by the followers of the Ramakrishna monastic order. 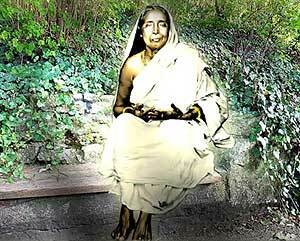 Sarada Devi played an important role in the growth of the Ramakrishna Movement. Though uneducated herself, Sarada Devi advocated education for women. She entrusted her close friend Devamata with the implementation of her dream— a girl’s school on the Ganges, where Eastern and Western pupils could study together.